9th Annual Forum approaches: propose a seminar for the programme! The call for seminar proposals for the 9th Annual Forum is open! All strategic EUSBSR stakeholders are invited to participate and propose interesting seminar topics for the event by filling in a short application. Deadline for proposals is 31 January! What kind of proposals do the organisers wish to receive? "It is important that there is an element on novelty for our participants - many attend every Annual Forum and they expect to hear what´s new, what´s actual during next year. Therefore, together with the seminars that contribute to the three objectives of the EUSBSR, we hope to have proposals about seminars that develop the main themes of the Forum further and reflect the developments after 2020. And of course, prominent and interesting speakers are eagerly awaited" states Raul Mälk, Ambassador-at-large and the National Coordinator of EUSBSR for Estonia. The European Commission adopted the first-ever "European Strategy for Plastics in a Circular Economy" in January 2018. The EU Strategy for the Baltic Sea Region is already in full speed fighting against plastic marine litter. In the EUSBSR blog a Flagship project BLASTIC tracing the pathways of plastic litter to the Baltic Sea is introduced. The Policy Area Hazard Coordinator also comments the importance of the project in the blog: "BLASTIC is a frontrunner project on the issue of plastics and marine litter and the Baltic Sea region serves as model cooperation for the whole of Europe. This is why we see BLASTIC as a true Flagship of the EU Strategy for the Baltic Sea region"
EUSBSR clean and safe shipping presented to Norwegian actors on 6 February! Register now to the event focusing on how to engage Norwegian actors with EUSBSR. Seed money available for EUSBSR project development! Swedish Institute's seed money call is open until 13 February. 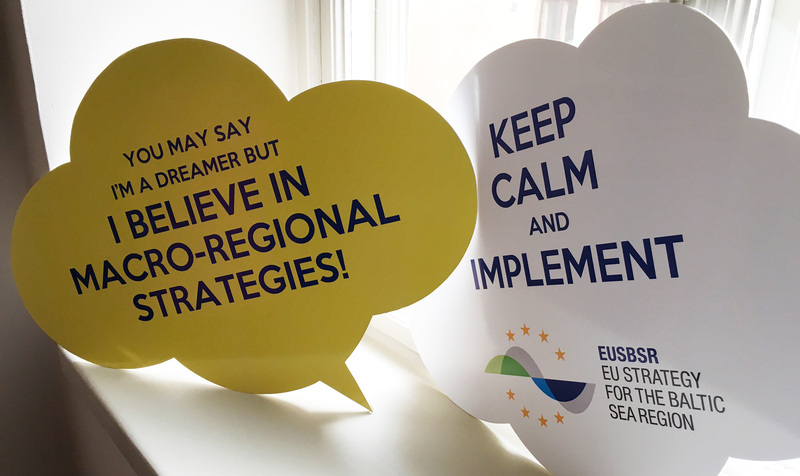 New factsheet about EU macro-regional strategies! The factsheet is available in all EU languages. Check the upcoming events and latest EUSBSR news at our website!